July 1st is Canada Day and this year’s celebration is extra special, as Canada celebrates its 150th birthday in 2017. ACS might stand for “American Chemical Society,” but our editors, authors, reviewers, and readers come from all over the world. ACS’ connection to the Canadian chemists is particularly strong. The list of ACS Editors doing research at Canadian institutions includes Cornelia Bohne, Co-Editor of ACS Omega, Jillian Buriak, Editor-in-Chief of Chemistry of Materials, Robin Rogers, Editor-in-Chief of Crystal Growth & Design, William B. Tolman, Editor-in-Chief of Inorganic Chemistry, and Francoise Winnik, Editor-in-Chief of Langmuir. Associated Editors based in Canada include Milica Radisic of ACS Biomaterials Science & Engineering, Cathleen Crudden of ACS Catalysis, Warren Chan of ACS Nano, Edward Sargent of ACS Photonics, Shana O. Kelley of ACS Sensors, Audrey H. Moores and Michael K. C. Tam of ACS Sustainable Chemistry & Engineering, Gang Zheng of Bioconjugate Chemistry, Molly Shoichet of Biomacromolecules, Miriam Diamond of Environmental Science & Technology, Christopher M. Overall of Journal of Proteome Research, Christine Allen of Molecular Pharmaceutics, William D. Lubell of Organic Letters, and Deryn Fogg and Laurel Schafer of Organometallics. ACS regularly reaches out to the next generation of Canadian chemists. On May 3-4, ACS on Campus traveled to the University of Alberta in Edmonton for the 31st Western Canadian Undergraduate Chemistry Conference, an annual event for and organized by students in chemistry in Canada. The event was attended by Buriak, Tolman, Crudden, and Schafer. The event featured a discussion of alternative careers in chemistry, and advice on accelerating research with SciFinder. 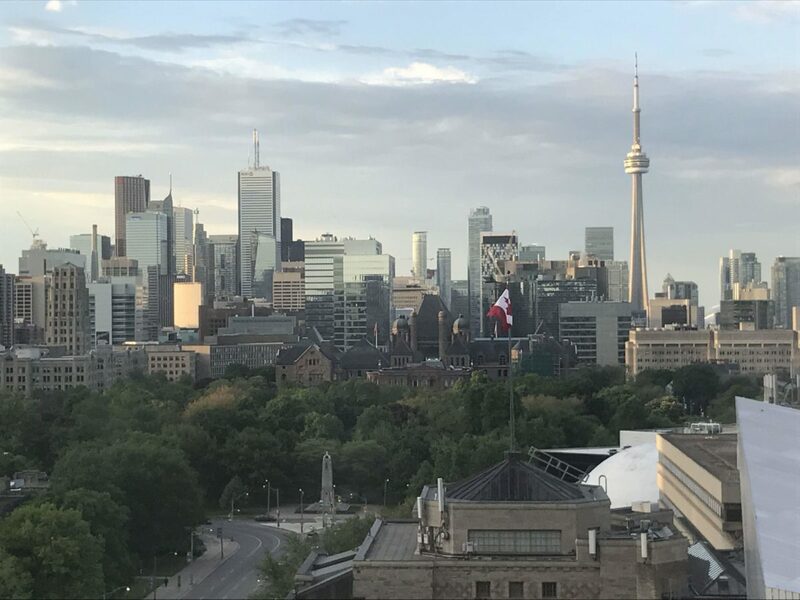 On May 29, ACS on Campus attended the 100th Canadian Chemistry Conference and Exhibition in Toronto. In attendence at the event were Bohne, Buriak, Chan, Fogg, Moores, Rogers, Shoichet, Winnik, and Zheng, along with Paul Chirik, Editor-in-Chief of Organometallics. They shared advice with Canadian students on getting published in ACS journals, including tips on preparing a manuscript, choosing the right journal for their research, and writing a cover letter that gets results. Want more? Check out “Hot Materials in a Cool Country,” an open access virtual issue on materials chemistry by authors in Canada, in celebration of the 100th Meeting of the Canadian Chemistry Conference. Interview with ACS Omega, Editor-in-Chief: Cornelia Bohne, Ph.D.